Nearly three of every four adult Americans have anxiety about going to the dentist. The idea of drills and sharp objects in your mouth can be a little scary. At expression dental care in Reston, we understand this, which is why we offer sedation dentistry. The comfort of our patients is our number one goal. Along with a relaxing environment, we have various medications that can decrease and even eliminate pain associated with different dental procedures. We want to give you a more enjoyable dental experience. Some of the most common pain-relieving medications we use are topical anesthetics. These are swabbed directly onto mouth tissue and numb the surface layers. Topical anesthetics can decrease the pain of mouth sores, or they can be applied to prepare the mouth for an injection. Local anesthetics are injected into mouth tissue (usually the gums) to block the nerve sensations to individual areas of the mouth. Dentists often numb the mouth in this way before filling cavities, treating gum disease, or performing cosmetic dentistry procedures. The most common anesthesia in dentistry is novocaine. More involved dental procedures may call for nitrous oxide, or even general anesthesia. Dentists ordinarily recommend an over-the-counter analgesic to relieve pain after a dental visit. These medications include aspirin, ibuprofen, and acetaminophen. 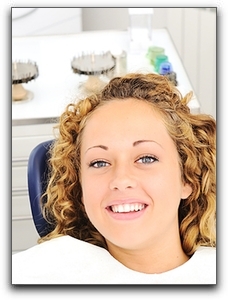 At Expressions Dental Care in Reston, we practice sedation dentistry for those who need it. Options include conscious sedation and nitrous oxide. We provide cosmetic dentistry for those patients looking to upgrade their smiles, and treat patients of all ages with family dentistry. For the athlete in your house, be sure to ask about customized sports guards.